AOC may be in real trouble with her campaign finances! « CPAC 2019 wrap up! & Hugging our flag is BAD? I’ve never seen a more ambitious operation to circumvent reporting requirements. ~ Tom Anderson, Director of NLPC’s Government Integrity Project re: AOC’s FEC reports. Caller: Aida Valenzuela Crosby from Venezuela warns, Soros-connected company, Smartmatic, with ties to Russia and Cuba has provided voting technology in multiple countries and 16 US states! 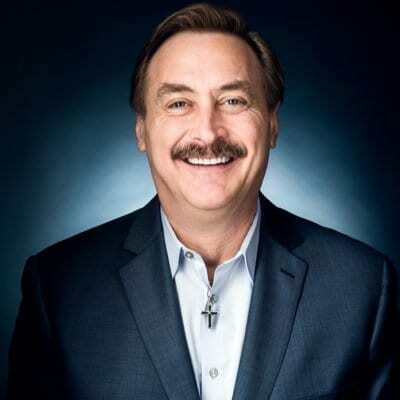 Interview from CPAC: Speaking to Mike Lindell, founder of My Pillow, talks about his deliverance from drugs. Taking a guy from a crackhouse to being seated next to the President of the United States is proof that Jesus is real! God was chasing him for years. I don’t worry about the money. I didn’t get as far as I got by not listening to God. Pray for discernment and wisdom. Nov 8th, 2016 was God’s grace giving us a second chance. We need to speak out for Jesus. Do what God wants you to do and your business will always flourish.